On the first day we arrive all the doors & drawers are removed then taken back to the workshop. The worktops are all covered as well as the floors. This ensures a clean working environment for the client as well as us. The next couple of days are spent cleaning every inch of the painted surfaces to ensure no contamination is left on the surface which could hinder the paint adhesion. Once everything is clean it’s all left to dry, before a light sand. Now we are ready for the high adhesion primer, this is the paint that is needed to help the top coats stick. This primer is applied quickly then allowing to dry again over night adhering to the drying times. With this paint dry, all it need is a little light de nib then tack down. Now it’s on with the first of the the top coats of waterborne paint. This paint is extremely tough & when cured one that will last for years to come. With all the painting completed we can reassemble the kitchen carefully, then removing all the worktop and floor protection. With everything fitted back together, doors adjusted, handles fitted its finished. It does look very nice, Jenny was absolutely thrilled to have the kitchen looking as good as it did. 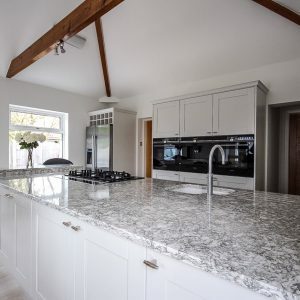 If you would like your kitchen or furniture we are the first port of call in Lancashire for painted kitchens & furniture. 5 Star Painted kitchens Eccleston Lancashire. Painted kitchens Eccleston Lancashire. 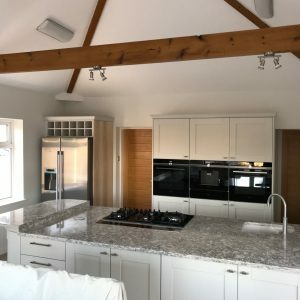 Had a new kitchen fitted at the end 2018 by a local kitchen installer. the painting of the kitchen was a disaster. Some of it was over sprayed, some under sprayed, and part of it had no paint on it at all. Jason, Matt & Beth did a fantastic job of re painting all the units. I now have the kitchen that I desired. I would recommend JS Decor every time..
You can contact us here via this link. 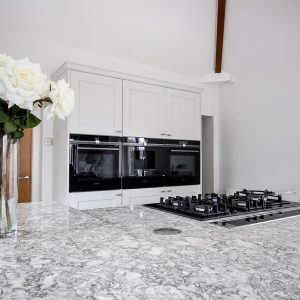 We are also a member of HPKUK a group of specialist kitchens & furniture painters.